This is Queen's last gig with bassist Mike Grose. 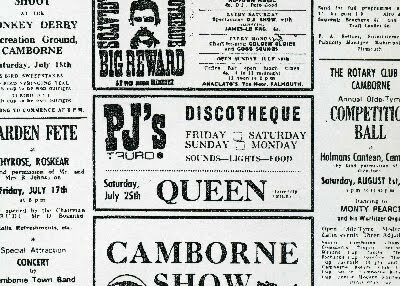 The founder and manager of the club, Pete Bawden, shares some memories of the venue: "Upstairs was painted black, and there was a stage at the Pydar St. end of the hall. There were lights and a glass booth for a DJ and this is where Smile and Queen played [Smile had played there ten times previously]. On one of the walls was a giant painted mural of Jimi Hendrix. There were seats around the outside of the hall and the capacity was about 200. Downstairs was a coffee shop. PJ's didn't have a changing room or any musical equipment so bands had to bring all their own gear, ready to play." Pete doesn't remember that much about the concerts but he remembers some of the conversations he had at PJ's with Queen personnel, such as Brian May showing him his Red Special guitar, and Freddie Mercury correcting him about the name: "it's not 'The Queen': it's 'Queen'" [Smile had been booked numerous times as 'The Smile']. A third original song has been introduced to Queen's set - Liar. 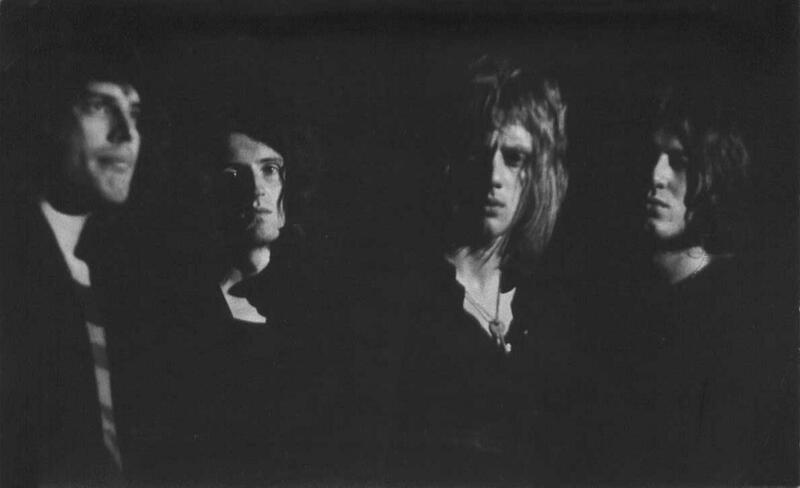 Its roots go back to Freddie's pre-Queen band Ibex, a track called Lover (worth noting is that Brian May and Roger Taylor had joined Ibex at a show in Liverpool the previous September for a few songs). 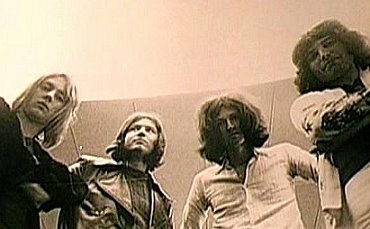 Liar may have also been inspired by the 1970 Argent track of the same name, as the choruses are similar. 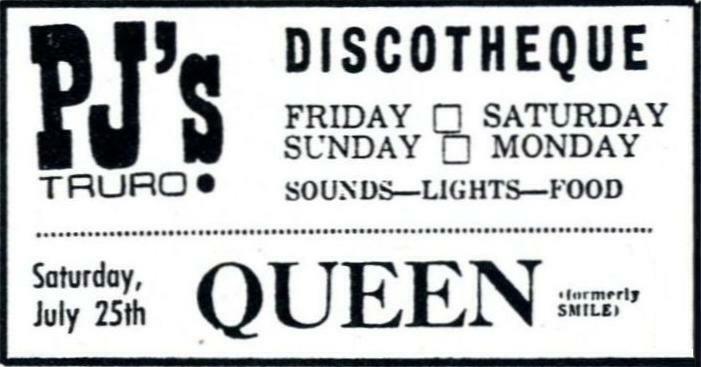 Louis Austin, who had worked at De Lane Lea studios where Queen recorded their first demo in 1971, later stated that he thought Queen's Liar was a cover. Thanks to Sebastian for the info, having tracked down Austin for an interview. A friend of Mike Grose apparently recorded this third Queen gig on two reel-to-reel tapes which are still in good shape. Not surprisingly, the owner of the tapes is reluctant to do a transfer and get the recording out. Mike decided to leave Queen after this gig. 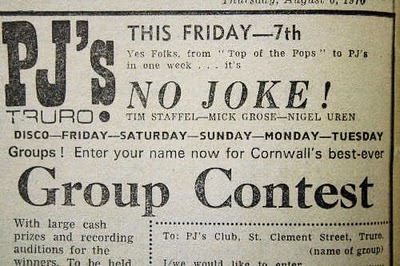 The rest of the band went back to London, and he stayed home in Cornwall. He later stated it was for various reasons, including the fact that he was bored not having a day job (he couldn't hold a job because the band were traveling to play gigs). But it was an amicable split, as he really did think the band were great. 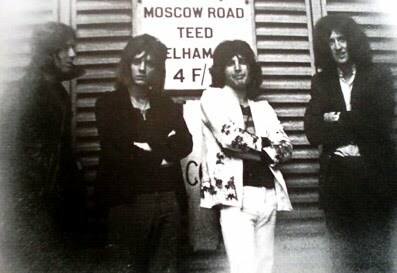 He soon took over his father's haulage business, and joined another band called No Joke!, which included Tim Staffell, who had played with Brian and Roger in Smile until a few months ago. They were soon booked to play here at PJ's a couple weeks later. The band remained in touch with Mike at least to some extent, as his haulage company would eventually transport their equipment for some time when they started to play bigger venues.